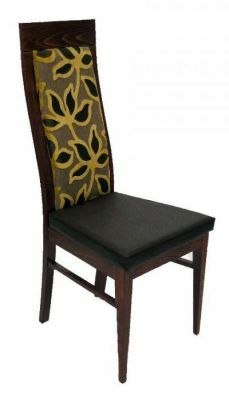 Stylish Miami wooden dining chairs with an upholstered seat and back. 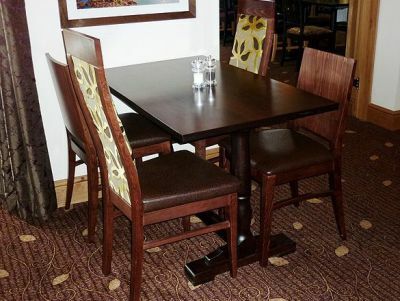 Solid wooden frame in a choice of 17 wood finishes. 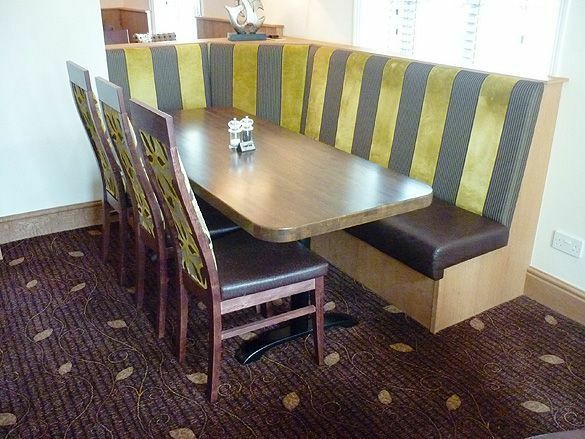 Choose from a range of fabrics and faux leathers. 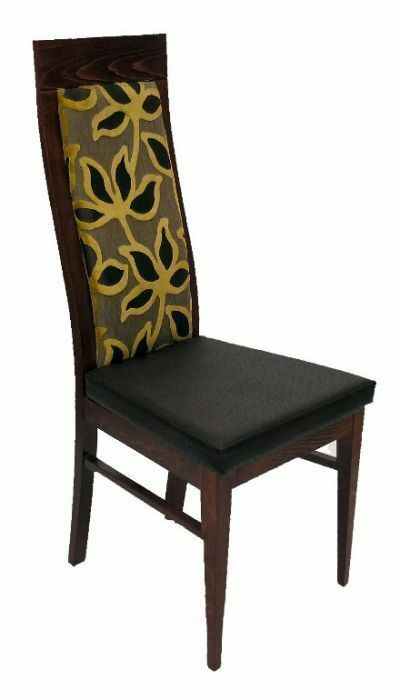 Classic high back dining chair with a slight curve in the back. This range of seating could suita a bistro type restaurant area or cafe, as this is a made to order item you should expect a rough lead time of 7-10 working days.